Wow, is all I can say about the weather this weekend, I spent Saturday at my friends kids 3rd Birthday party, playing football and bouncing around some soft play, not to mention eating cheese puffs, which is a food group I haven’t encountered much since my youth, and they truly are the food of champions. 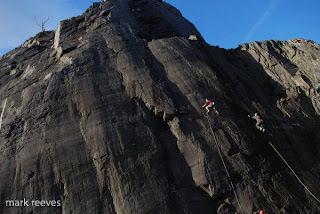 I was up early, and climbing on the slate on sunday, did about 5 easy routes around the quarry, which was nice to get the mileage in, as well as introduce a slate virgin to the joys of the myriad of levels and crags. We warmed up around Looning the Tube, before eventually climbing the classic route that gives the area its name. We then headed to Serengeti for some more seamstress action, before moving onto Nevernever Land to climb the first couple of pitches of Bryn Williams modern classic of 364 or some similar number, that when you know the relevance becomes quite sinister. The quarries were buzzing with climbers everywhere, and the new fence seemed to be keeping climbers away from Dali’s Hole and encouraging them to explore the other amazing area. Neverneverland had three groups, us and a team on Kubla Khan and another on Short Stories. The sun was even warm! Hopefully the weather will stay like this, and even more importantly, it may have showed that the jetstream has moved allowing high pressure to rule. We shall have to see! 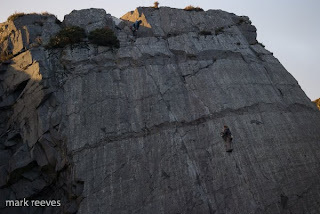 I heard a friend had broken his leg whilst climbing at Doris, falling off the last move of the E5 right of Byzantium Wall, when he pealed a flake off, with one hand literally over the tope of the crag. Hopefully he’ll make a hasty recovery! My pager went off yesterday, a male fallen on Snowdon, so i headed to Nant Peris (My van hasn’t passed its MOT so I had to hitch). The RAF were quickly tasked and were in and out very quickly with the casualty, in the mean time I went from the Nant Peris LZ waiting just incase they needed some ropes and stuff. We were then tasked to walk up, as the Helicopter was at Ysybty Gwynedd, and the casualties wife was still on the hill. I can’t imagine how the woman felt alone and not knowing what was happening to her husband. Later that day I visited a friend who had just returned from New Zealand where she fell off a cliff on a mountain bike. Her husband had to drive from south to north island before finding out the extent of her injuries. It was a lonely drive, so how this mans wife felt must have been terrible. As such we were aiming to reach her and walk her off, or at least keep her company until the helicopter returned. As it was the helicopter beat us to it, and got her quickly to YG. Unfortunately the man had already been pronounced dead, and another small team were dispatched to carry out the fatal incident protocol, to collect evidence for the coroners inquiry. We turn round, and got a lift back down from the crusher to base, and I managed to get a lift back from some friends passing Llanberis. Chatting with another member of the team it would seem like we have had around 10 fatalities in and around snowdon this year, and around 175 callouts. That is double our normal number of incidents. Later on that day, my friend who had the nasty accident in New Zealand told me that her last thought as she went over the cliff was, well I have looked forward to this trip for ages, and have wanted to do it for ages, if now is my time, then so be it. My heart goes out to the man’s wife, family and friends. This was one of those true accidents by the sounds of it, a tragic loss so close to christmas. A BBC report can be found here. For the last two days I have been out on the hill working alongside MMU degree students, taking them through a couple of days of there Summer Mountain Leader Training. Tuesday was the ropework day, and today the mountain day. I was working for Andy Newton who does a lot of provision for both ML and Single Pitch Award courses in North Wales and beyond. Andy is great to work with, as we often share stories from both his and my glory days on the Slate. Andy was around and about during the first Slate boom, and I have over the years climbed many of the test pieces both he and others at the time put up. Today I went up and over Dinas Mot and down through Cwm Glas, finding some steep steps on the way to cover security and route finding on steep ground, as well as covering environmental and conservation aspects of the syllabus. 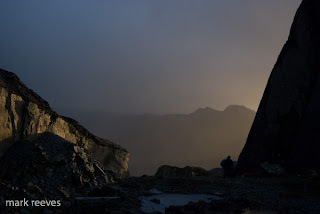 The days are so short now though, I had to cut short the idea of cutting over Crib Y Drysgyl, as we only just made it down before the rapid onset of darkness. Anyway off the wall again tonight, I was there on Monday and attempted a few of the new problems Gaz Parry had set. I manage a couple but they are proper hard, and really good to get you teeth into over the coming weeks. I was so knackered I resorted to routes because the problems were so hard. Anyway, psyche for some crimping now! Just finished watch Welsh Connection the new film from Bamboo Chicken Productions. Set across the principality, the footage captures the essence of the leading climbers in the Country. Including some palm sweating ascents of the ridiculous. I decided to watch despite a showing in The Fricsan on this Tuesday evening at 7.30pm. I don’t really want to get into any detail, as I might spoil the film, however I have never been much for climbing films as they are often painful watching experiences, however as I felt my palms sweat I did get into the film. Welsh Connection is a reasonably slick production, that does seem to overuse the latest slow motion HD filming techniques. Unfortunately a DVD isn’t as High Def, as High Def can be, and to a certain extent DVD’s suffer from complex moving images, due to the way that it keyframes background images in the compression process, which annoyed me from a technical point of view. I will say that the slow motion section are particularly graceful and inspiring, but for a section of the film it was like I was in a time warp. In true High Def this film is probably even more amazing, I think they are showing it in true HD format in the Fricsan, so if you fancy a beer and a watch of this vid, alongside some of the stars in it, then get yourself there. It was a good way to witness the climbing experiences of many of Wales finest climbers, ascents that I have heard about in local circles and of course the climbing press. For me the fact that many of these guys are my friends, meant it may have been more interesting to me than others. Saying that, it does feature the best climbers on some of the hardest routes, often filmed from a in their face perspective, yet managed to maintain detachment from the stories of ascent. The video is well worth watching and priced at £14.99 is cheaper than many of its counter parts, and would make an ideal stocking filler for anyone who hasn’t seen it yet. 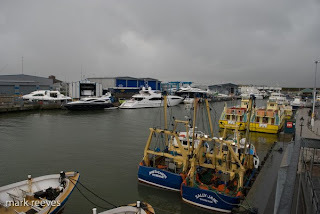 Highlights – Pete Robins on Liquid Ambar, Pete Whittaker on Quarryman Groove and Caff and Nick on Yellow Shark. The DVD has an extra in the form of To The Rainbow, featuring a very determined Paul Pritchard climbing a route on the rainbow slab. Saturday night I was meant to go out with Llion for his birthday, he cried off with a stomach bug, so I went out for a few jars. A few too many as it turned out. So when Llion phoned for a climbing session yesterday, I was a little raw to say the least. We did manage to sneak out, and Llion as the Birthday Boy did all the leading. Katie Haston came along as well, one of the first times that the Yosemite dream team climbed together, it is our hope that all three of us will climb the Nose next year! I also was informed that I have an offer of a partner to climb the Nose in a day, however the treat of slow me down and I’ll kill you is perhaps a little worrying. Training starts here! The weather was cold, but bearable and we managed Seamstress and Seams the Same, before it started raining. A good way to spend an hour or so. The light as we finished was awesome, and a real treat to catch. 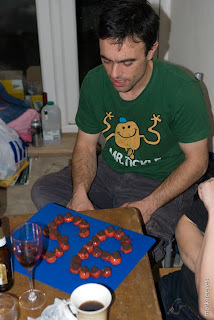 That evening Huw had arrange to cook Llion a birthday feast, and what a feast. This was the best meal I have ever eaten. Chicken Liver Pate with a port and berry reduction, served with Melba toast. 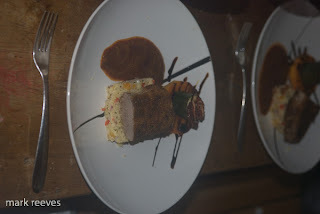 Followed by Moroccan style medallions of lamb served on a bed of couscous, with a selection of roasted veg and spinach, with a sick Moroccan sauce. Pudding was an amazing Sticky Toffee pudding from the nurse of the now director of Next, who gained an MBE for her work in the aftermath of a IRA bombing, and she can’t half bake a fierce cake. This was the sort of meal that I would never be able to go to a restaurant to buy, because I couldn’t afford it. Well, I had a busy day on Saturday, in the morning I gave a coaching workshop for 13 climbers for the BMC Cymru/Wales Area AGM Fun Day, held at Plas Y Brenin. After two hours of theory and practice, I had a spot of lunch before having to sit in on the BMC National Council meeting, where I represent Wales. A very long and tedious affair to be honest, and one where my heart has not been for a while. I had missed most other meetings this year because of commitments to my MSc, which basically meant that I had to work every weekend. So as a freelance instructor it would have cost me nearly £1000 in lost wages to attend these meetings. I stepped down from the role finally, so hopefully I can concentrate on my own climbing and work some more. Don’t get me wrong working with the National Council has been great however, I feel that it is time to move on. I might try and offer my services to a few of the specialist committees, where my expertise might be of use to them, as politics isn’t really my calling. What happen to that caravan? On friday as I headed back into the pass on the short drive up from Bournemouth, I saw the Llanberis Mountain Rescue Team landrover complete with passenger in the cromlech lay by. 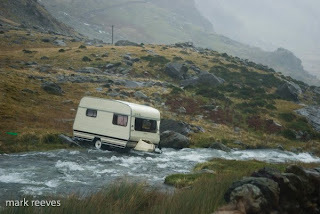 A few member of the rescue team had taken it upon themselves to clear the debris of the caravan from the pass. In the last couple of weeks heavy rain and strong winds had spread the remains down the pass. The National Park, had said it wasn’t their responsibility, however having heard of the teams decision to take the matter into its own hands, and probably embarrassed by the volunteers taking a lead, decided to send a small team of wardens. This was helped along by Plas Y Brenin who gave one of its water rescue specialist a day to help out as well. I did find it funny that the volunteer rescue team basically took the lead in taking responsibility for the clear up, and would the National Park Authority have done anything if they hadn’t heard of their intentions? Posted on 6th December 2009 Categories Uncategorised1 Comment on What happen to that caravan? Well, I have survived a week at home, however I thought I would share with you all the things I have been up to other than watching HD telly. 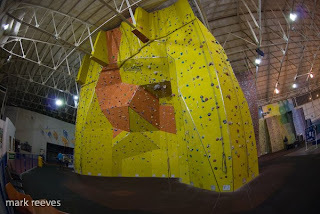 Well I spent yesterday afternoon climbing at calshot wall, after taking my mum in Poole. I left her to do what she needed to do and I went drinking coffee, and looking at the Gin Palaces in the Sunseeker Factory – put me down for two please. 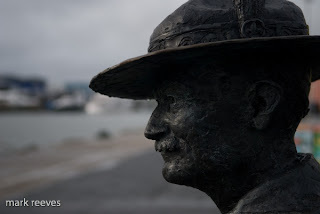 There was also a statue of Baden Powell, famous for Scouting for Boys, who had his first camp on Brownsea Island at the turn of last century. 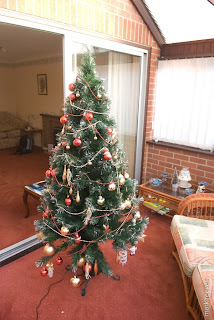 What really amazed me being home was the array of cake my mum buys, and the fact that despite the fact that it wasn’t actually December she still had the bloody christmas tree up! 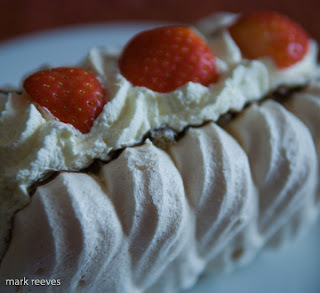 Anyway I am almost ready to drive back up the country home, to give a coaching workshop for the BMC saturday morning. 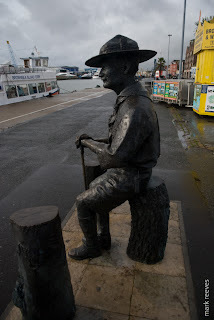 Baden Powell – Scouting for Boys on Poole Quay!! Well back in Bournemouth I have been checking out my mum 40 inch High Def telly. Firstly the Tv is bigger than the front room where I rent, and secondly High Def, is awesome, especially if you are into documentaries. I watched “life” David Attenborough’s and the BBC Natural History Units latest epic Nature programme last night, and having seen the rest of the series in “low def”, I have to say that seeing it in High Def is like watching a different programme. The footage and the detail is shocking. Although I have one major bug bear with this series, in that they seem to reuse footage from early programmes. Which whilst the footage is amazing the wow factor is lost as you find yourself sat there going, ‘yeah, see that before’. Its almost like they failed to get some footage so decided instead to use whatever they had. Anyway I have to watch some more telly on this monster, Stormchasers here I come!